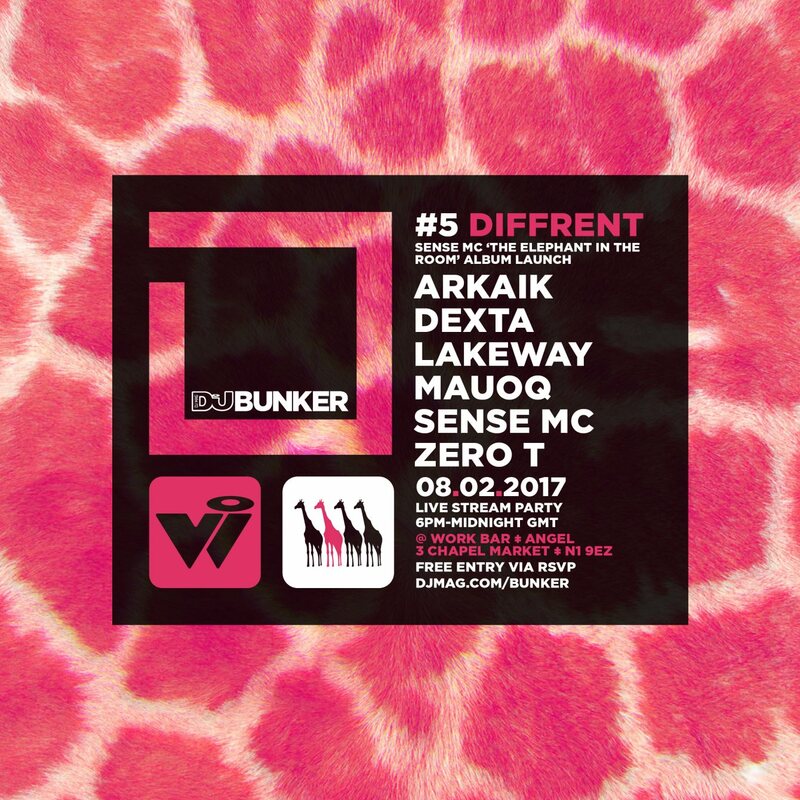 DJ Mag Bunker, a free, monthly, livestream party, supporting the best in underground Bass Music, live from their purpose built venue in Angel, North London. While working on a piece in the magazine, featuring Sense MC, it seemed like a good idea to invite the label down to showcase their sound, and get an exclusive live preview of ‘The Elephant In The Room LP’ to launch the album. Sense was joined by Arkaik, Dexta, Lakway, Mauoq & Zero T, to put on a night of Bass, Drum & Poetry.